Regardless of who this person is, I’m confident I can describe him or her. That’s because highly respected bosses often have a lot in common with each other. Here are 20 of the key things they do almost every day. What’s more annoying than working for a boss who doesn’t actually understand the job, and whose authority vests entirely in their job title? The boss doesn’t have to be the number-one expert in every fact of the job–that might be impossible–but he or she had to be competent at all levels. Great bosses have little tolerance for boring meetings, mandatory fun–and making others wait unnecessarily. They also avoid long-windedness when shorter remarks will do. Some bosses parcel out information like misers, often because they’re afraid that if their team had all the facts, they might not be able to lead. There are legitimate reasons to control the timing of sharing information, but overall the more transparent a boss can be, the more respect the team will ultimately have for him or her. They double-check assumptions in a non-annoying but through way that sends the message that they’re on top of things. They aren’t willing to accept that things should be done a certain way just because that’s how they’ve been done in he past. They also recognize that people are just that–people. Work has to be a priority, but that doesn’t mean it’s the only thing in their lives. They recognize that their employees have have spouses, children, friends they need to care for, not to mention outside interests and ambitions. There’s a saying: personnel is policy. In fact, this should arguably be the first item on the list. A leader’s most important role is sometimes about assembling a team of great people–and just as importantly, avoiding letting toxic people join. It’s often true that more progress is made when we seek forgiveness rather than permission. However, there are rules, social norms and basic decency. 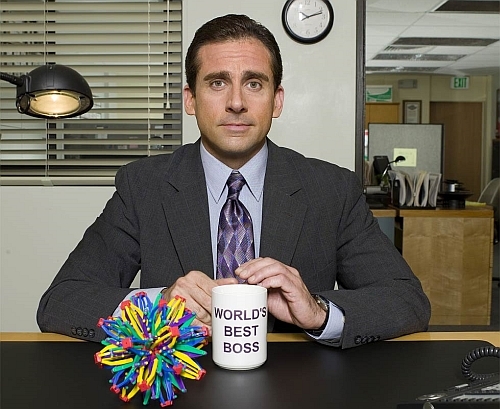 Great bosses strive to uphold them. 20. The make more leaders.